Ships in 4 to 5 business days. 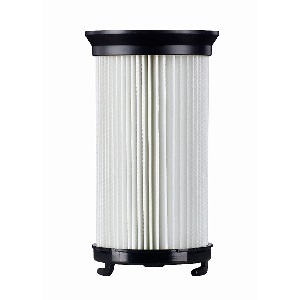 The Eureka Vacuum HEPA Filter DCF-4 / DCF-18 by 3M Filtrete is a replacement vacuum filter for Eureka 4700 and 5500 series vacuums. The Eureka DCF-4 and DCF-18 are also known as Eureka dust cup filters (DCF). 3M Filtrete vacuum cleaner filters are made with the same HEPA filter media that the company uses to make some of the optimal air filters you can buy. The Eureke DCF-4 / DCF-18 vacuum filter is a genuine HEPA vacuum filter. Vacuum cleaner HEPA filters will capture 99.97% of all airborne pollutants 0.3 microns or larger. You're not only cleaning with a HEPA vacuum cleaner, you're also ridding your house's indoor air of pollutants like pet dander, mold spores, pollen and microscropic allergens. 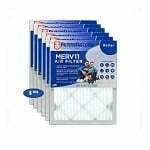 If you're looking for HEPA filters for Eureka vacuums, you cannot go wrong with those made by 3M Filtrete, a company committed to helping you clean your indoor air. Reduces: Allergens, mold spores, pet dander, pollen. You should change your Eureka vacuum filter every 3-4 months for optimum performance. This is a genuine 3M Filtrete part known by part number 67814. Click here to see our entire line of 3M Filtrete vacuum filters, bags and belts.